A simple variation of the popular Gin and Tonic, this recipe brings the sweet taste of fresh strawberries into the mix and it is perfect when the berries are in season. 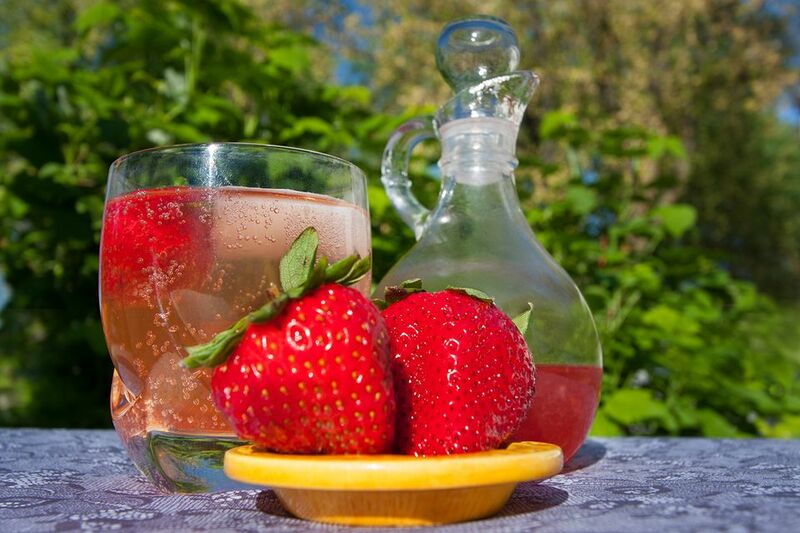 The strawberry is added via a quick and easy housemade simple syrup that requires just a few fresh strawberries, so it is a perfect use for those last few berries that linger in the refrigerator. The syrup takes just a couple of hours to make and most of that is cooling time, which makes this a great project to prepare in the morning in order to have a great afternoon cocktail. While you could use almost any gin in this recipe, I would recommend one of those that do not have a juniper-heavy profile. Hendrick's, G'Vine, and Aviation would be my top choices because of their lighter and unique flavors that pair perfectly with the sweet strawberries. Pour the gin and fruits into a highball glass filled with ice.